Pelan Funeral Services are family owned and operated funeral homes located in Oakland, Lyons and Tekamah, Nebraska. 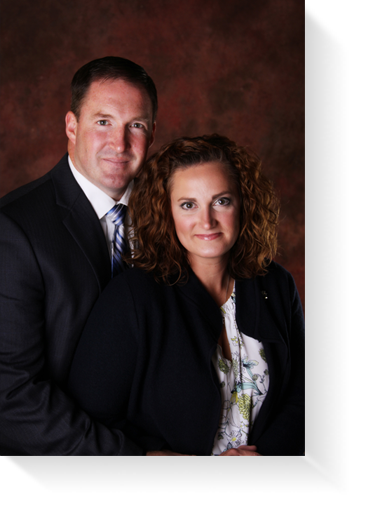 In 2015, Jim and Danielle Pelan purchased the funeral homes from Jim's parents, Lynn and Karen Pelan. It is our mission to represent them in every capacity with the same care and concern that is the heart of our organization. The families we have served have helped us to grow both personally and professionally; we will continue to value their patronage. Lynn and Karen began serving families in Northeast Nebraska, in 1990, with the purchase of Palmquist-Pelan Funeral Home in Oakland. They valued the small town quality of life in the area. They started small, and we have appreciated the opportunity to serve each family with the care and concern that would best help them through a difficult time. In 1991, the purchase of the funeral home in Tekamah and establishment of Pelan Funeral Services, Inc. was completed. The prospect of expanding their services to Tekamah, through Hamel-Peck-Pelan Funeral Home was exciting. We have enjoyed getting to know the families in the Tekamah, Decatur and Herman areas. Jim joined the family business in 2003, and they purchased Piper Funeral Home, in Lyons, in 2005. While they had served families in the Lyons community in the past, they were excited to be part of their main street, and we look forward to continuing our service in the community. In 2006, they changed the names of our funeral homes to more accurately represent our ownership and location. This also enables us to show unity to the communities we serve. Our growth has been a blessing, as it has provided us with the opportunity to be of service to the families throughout Northeast Nebraska. We strive to deliver thoughtful service to all families, at a time when they need someone to assist them with the many details involved in planning or preplanning a funeral service. It is our hope that the families we serve are in some way comforted by knowing that our family stands ready to work with them and for them with care and concern.